During the recently concluded 74th Meeting of the Executive Committee of the Multilateral Fund for the Implementation of the Montreal Protocol on Substances that Deplete the Ozone Layer, held in Montreal, Canada from 18 to 22 May, Grenada was among several developing countries identified to benefit from additional funding to aid with the complete phase out of Ozone Depleting Substances (ODS), in the amount of US$540,000 (XCD$1,467,126). In December 2010, the Executive Committee at its 64th Meeting, approved US$210,000 (XCD$570,549) for Stage I of Grenada’s Phase-out Programme, up to the year 2020. At the end of Stage I, Grenada is expected to phase out 35% of its baseline consumption. 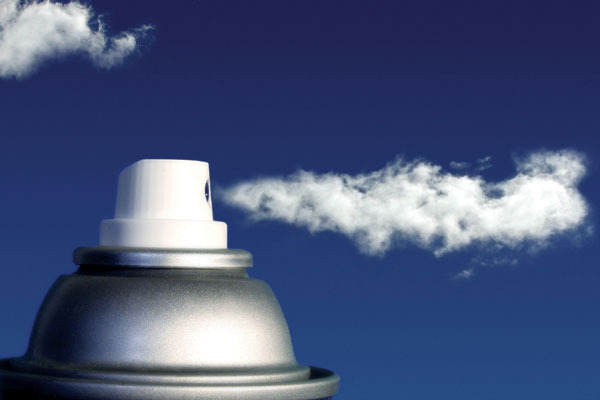 With the additional funding approved at the 74th meeting, Grenada is expected to completely phase out the remaining 65% of Ozone Depleting Substances. Grenada was among the first countries in Latin America and the Caribbean to launch its HPMP in July 2011. The National Ozone Officer, Mr Leslie Smith, is confident that Grenada is well ahead of its implementation and phase-out schedules and can completely phase out the remaining ODSs before the Montreal Protocol schedule. Successful negotiations were completed to review the Institutional Strengthening Project (ISP) for Developing Countries. The ISP is used for the day to day operations of the National Ozone Unit (NOU). At the last review if the ISP in 2004, funding levels were set at a minimum of US$30,000 (XCD$81,507) per year, for a two year cycle. At the end of the negotiations, the minimum level was increased to US$42, 500 (XCD$115,468) per year. Grenada will benefit from US$40,000 (XCD$108,676) that was approved to conduct surveys on inventories of Hydrofluorocarbons (HFCs). Although HFCs are not ODS, they are potent Green House Gases (GHGs) and are currently being discussed to be included in the basket of gases controlled by the Montreal Protocol. Grenada will also benefit from the approval of US$60,000 (XCD$163,014) that was approved for project preparation for a regional project that includes 4 other Caribbean countries. Grenada was represented at the meeting by National Ozone Officer, Mr Leslie Smith, who is the current Vice Chair of the Executive Committee for 2105.